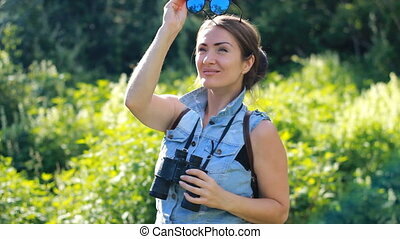 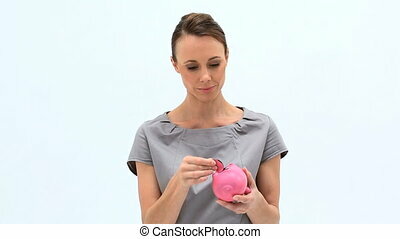 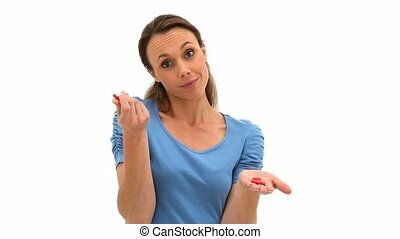 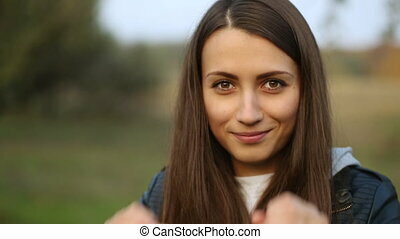 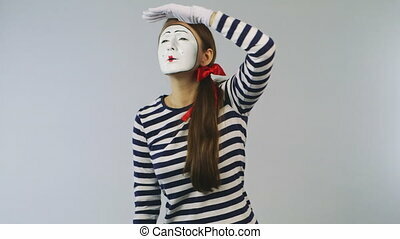 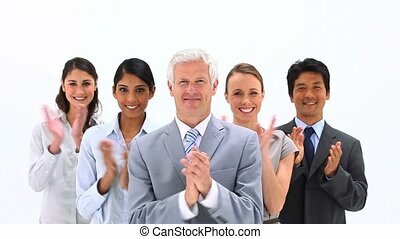 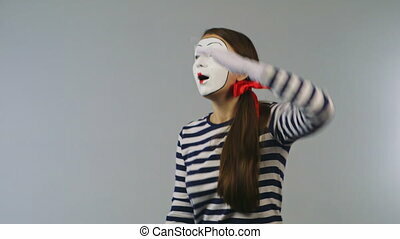 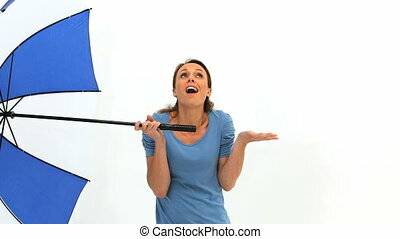 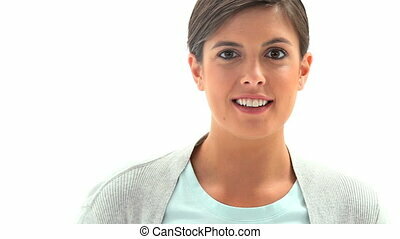 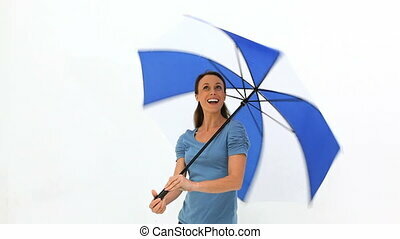 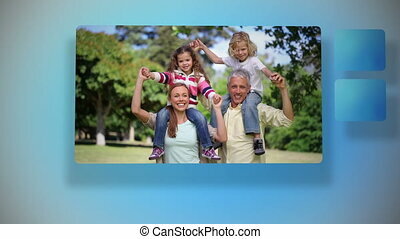 Happy woman looking through binoculars against a white background. 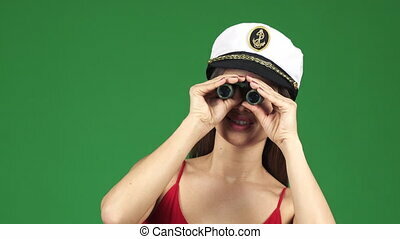 Close up of a gorgeous happy young woman smiling wearing sailor cap looking to the camera through binoculars summertime sea voyage sightseeing trip travelling tourist exploration. 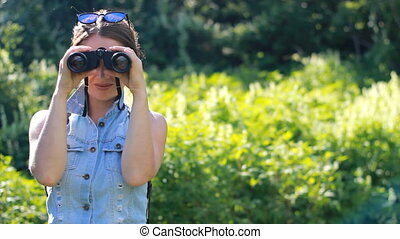 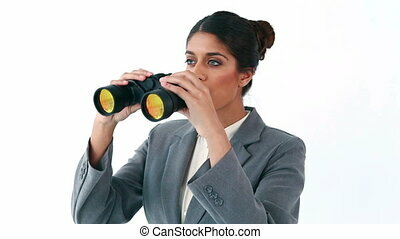 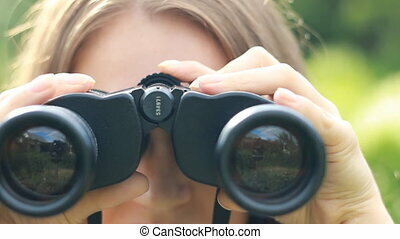 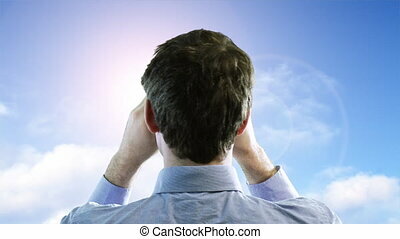 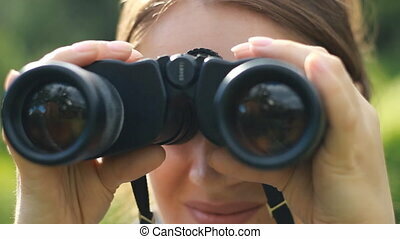 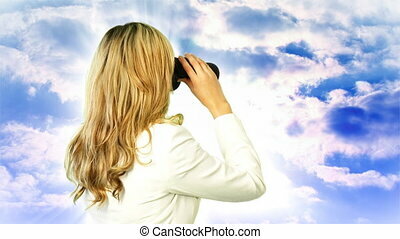 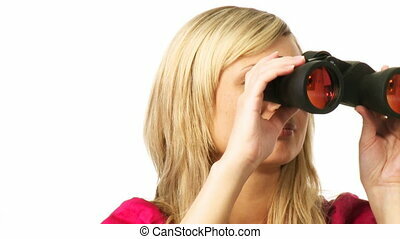 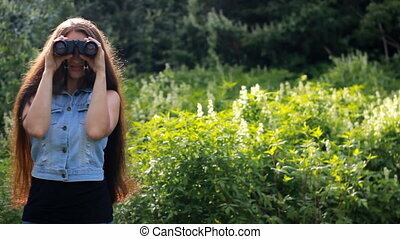 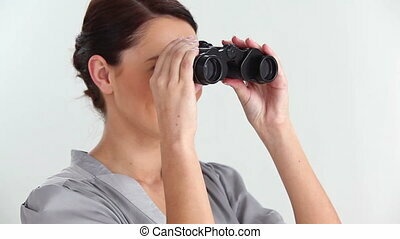 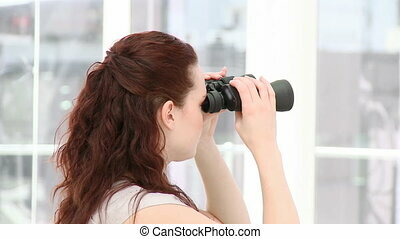 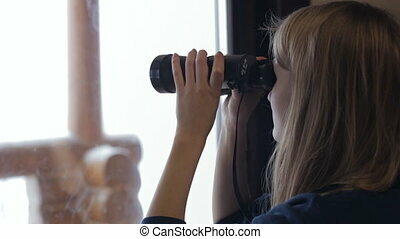 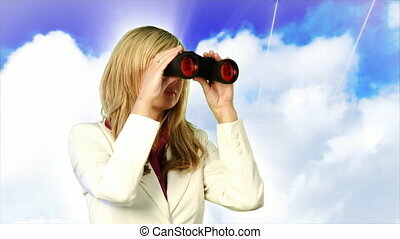 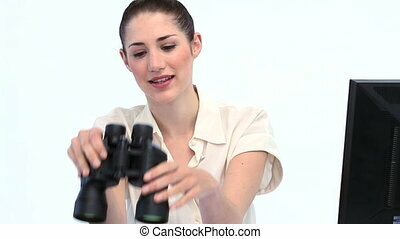 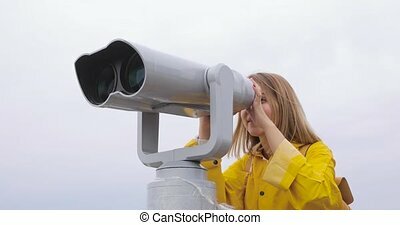 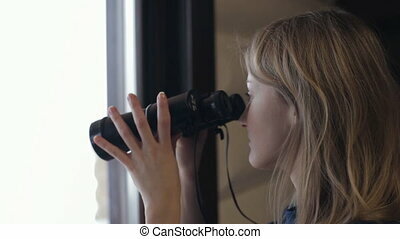 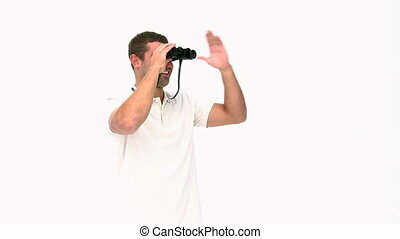 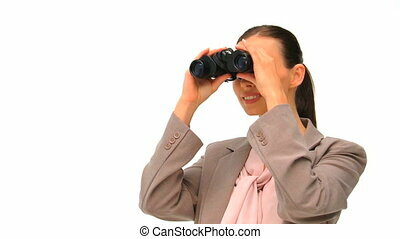 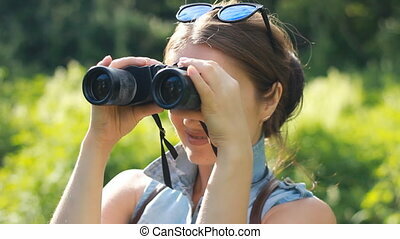 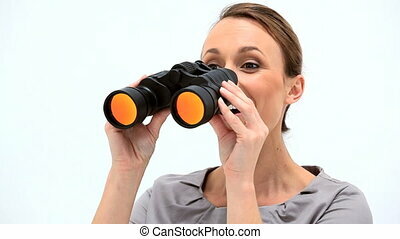 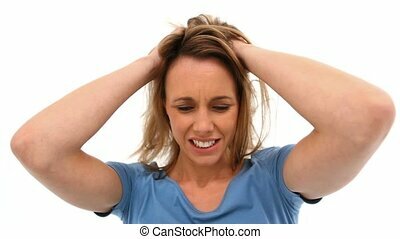 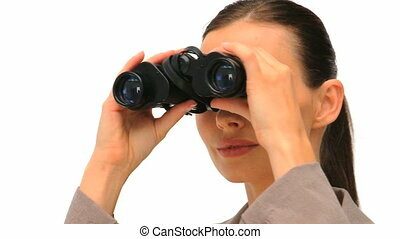 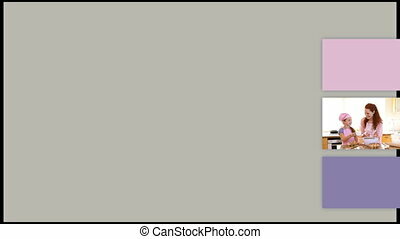 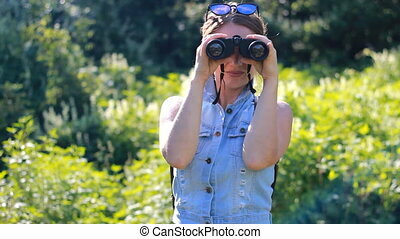 Beautiful woman with long hair looking through binoculars. 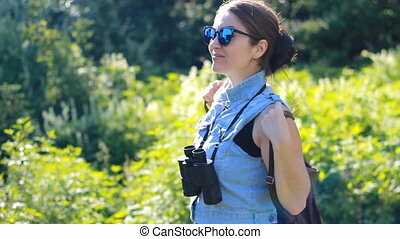 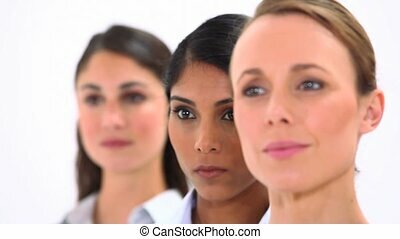 Girl tourist or spy. 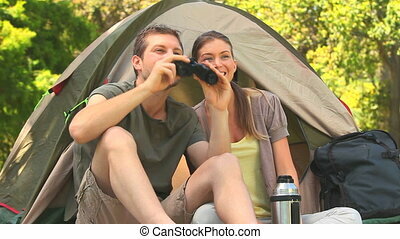 Travel and trip.